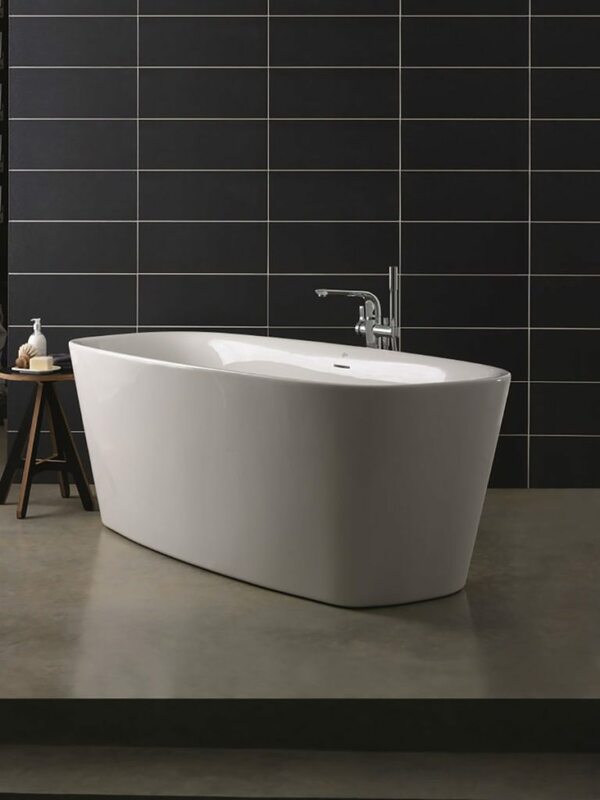 Recreate the boutique hotel look and work a fabulous freestanding tub into any sized bathroom. The perfect spot for a freestanding bath is in the centre of a spacious bathroom in a pathway of natural light. However, given that the size of the average UK bathroom is shrinking, you may think that a haven of relaxation like this isn’t possible for you. 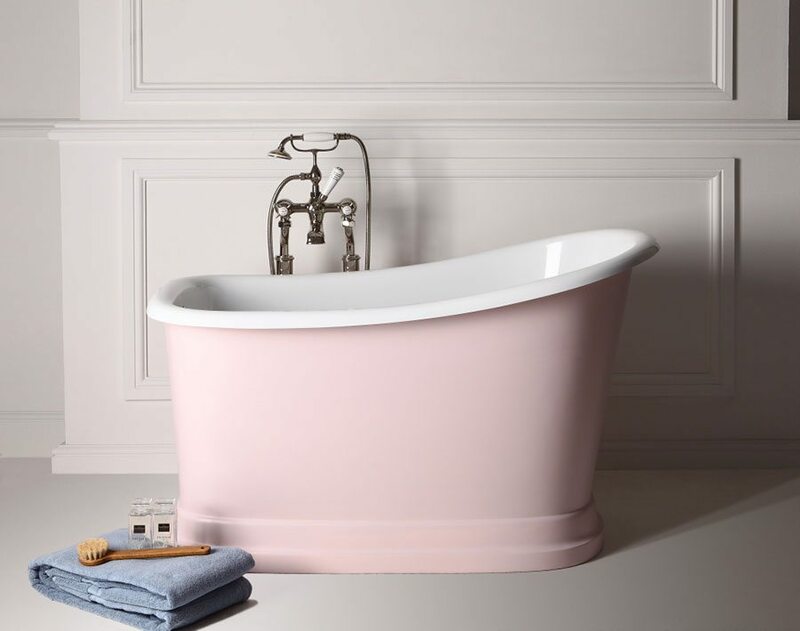 Fortunately, manufacturers are now making freestanding baths in a wider range of sizes and prices in response to the rising trend for a boutique hotel look at home. Tempted? Here’s a quick introduction to what you need to know when planning for a freestanding bath. The stunning Emperor slipper bath is £1,499 at Burlington Bathrooms. Your bathroom is a long-term investment, so set aside time to getting it right. This includes picking the right sized freestanding bath. The shape and size of the room will obviously play a large role here, but you also need to think about how and who will use your bathroom. Take the time to visualise how you can make your space work best. “First of all, measure your bathroom. Work out how much wall space you have available for your bath, and remember to allow space around the bath for other fittings,” suggests Leanne. Remember to factor in enough space next to the bath for comfortable access – including getting in and out, cleaning, and supervising bathing children. Contrary to popular belief, a freestanding bath doesn’t have to be the centrepiece of a room. It can look just as good placed beside a wall or in an alcove. In fact, a freestanding bath can actually make a bathroom look bigger, as the absence of a bath panel exposes more floor. “This clever trick is often used in smaller bathrooms, en suites and cloakrooms, where wall-hung basins and WCs replace traditional floor-mounted sanitaryware to add to the sense of space and openness to a room,” says Leanne. 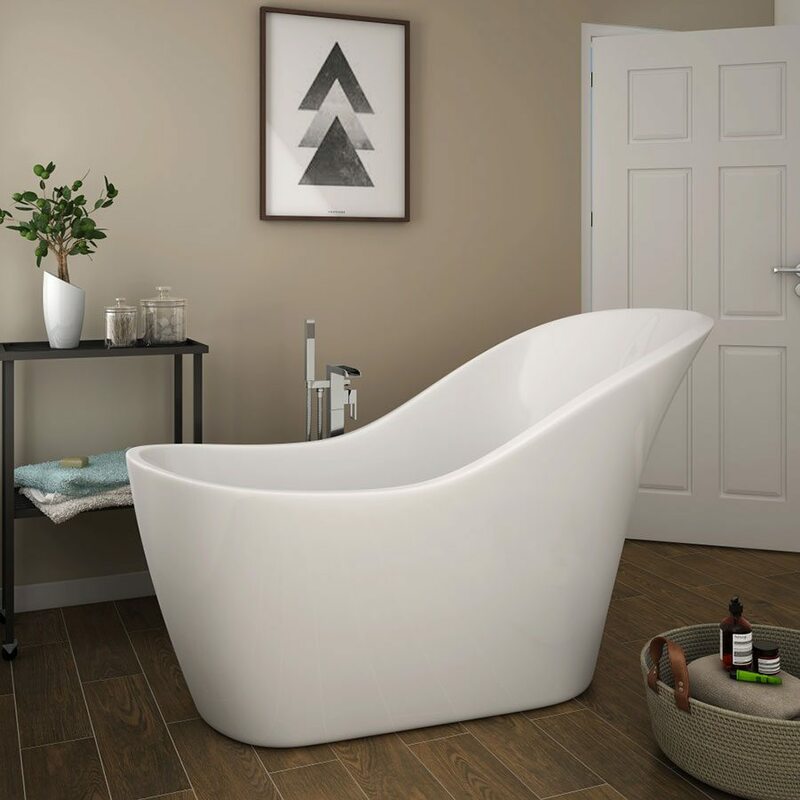 The small but perfectly formed Tubby Torre plinth bath by Albion Baths is available in three lengths from 120cm to 140cm. Priced from £2,289, Tubby Torre can be customised in any Dulux colour, or one of Albion’s burnished finishes. Priced at £1,373, Dea by Ideal Standard is one of its first compact freestanding baths, measuring 170x75cm. There are some extra steps to factor in when installing a freestanding bath. To begin with, pipes will need to be hidden yet accessible – which can present a challenge. 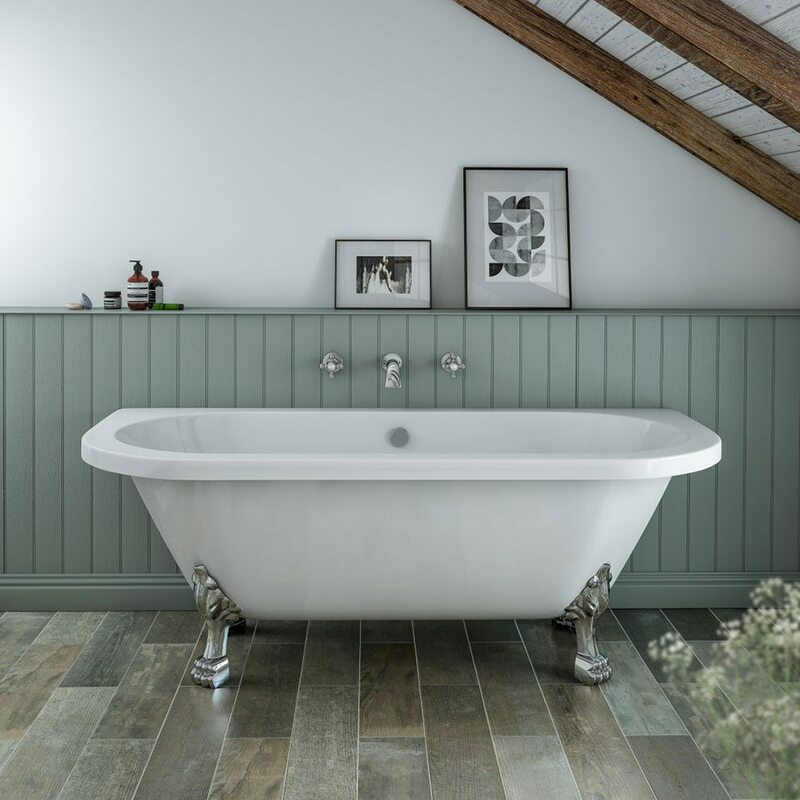 “When it comes to a freestanding bath, the lack of a bath panel means it likely that you will ‘hide’ as much pipework, fixtures and fittings as possible – for example, concealed behind tiles, in chased-out walls and under floorboards,” explains Leanne. As a result, installing a freestanding bath isn’t something that the average DIY-er should attempt. Leave this job to the professionals. This cast iron double-ended Madeira bath by Heritage Bathrooms is priced around £4,500. Your first step when choosing taps is to check your water pressure, as this will dictate the kind of taps that you can use. Your installer will usually be able to advise you, or you can ask your water provider. Once you’ve narrowed down your options, think about the look you’re trying to create. For example, matching bath and basin taps are a subtle way of showing off attention to detail in your bathroom design. Also decide what you want from your tap. Do you want a combination format with a bath-shower mixer or standalone bath filler? Most popular are freestanding taps (also known as stand-mounted taps). These stand proud of your freestanding bath and are fed by two chrome-plated pipes which connect to the underfloor pipework. “When installing a freestanding tap, you should select one that has an adequate spout length and projection to ensure the water will reach the bath and not cause any splashing,” says Tina Robinson of Heritage Bathrooms. Measure the full length of the tap and bath carefully, and view them together before you buy if you can. This will help you check that you have a good fit. While freestanding taps look stunning, it’s important to consider the drawbacks, warns Edward Potter of Victorian Plumbing. These include cost and the amount of space needed to accommodate them. What’s more, most freestanding taps require a higher water pressure levels to operate effectively. The Plaza Waterfall floor-mounted freestanding bath shower mixer, £199.94 from Victorian Plumbing, perfectly complements this contemporary styled freestanding slipper bath. If you are positioning your bath close to a wall, consider a wall-mounted tap. These are typically half the price of freestanding taps, and, because they’re plumbed into the wall, will save space. “The key to choosing the right wall-mounted tap is to bear in mind the style of your bathroom,” advises Edward. “Modern bathrooms would benefit from a swan-necked wall-mounted tap; a period bathroom would look great with a traditionally styled tap; and an ultra-modern bathroom fits in perfectly with a contemporary, waterfall-effect tap,” he continues. A disadvantage of a wall-mounted tap for your freestanding bath is that there will be no handset function. As with all design planning, think carefully about the functionality you need before making any final purchasing decisions. The Belmont traditional wall-mounted bath filler, £99.95, works well with a traditional roll-top freestanding bath with claw-footed feet. Available at Victorian Plumbing. You’ll need a bath with pre-drilled tap holes if you choose deck-mounted taps – unless you’re willing to drill the holes yourself. “If the freestanding bath you have chosen already has taps holes then a deck mounted tap is a great option. However, if your chosen bath does not have pre-drilled tap holes, then you will have to drill the holes yourself. Once the tap holes are drilled, it won’t be possible to change to standard freestanding taps in the future,” Edward explains. 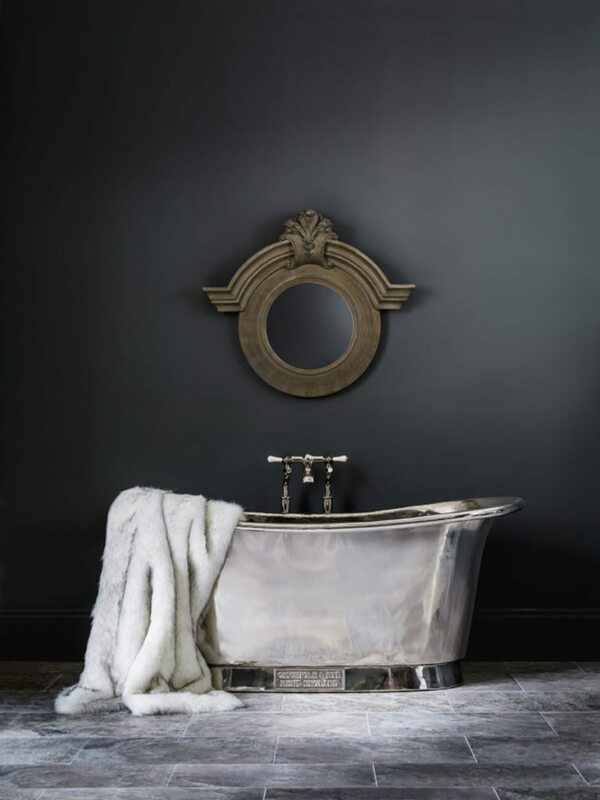 The Albemarle freestanding bath by Arcade features a nickel finish, £3,190. Taps are deck mounted. 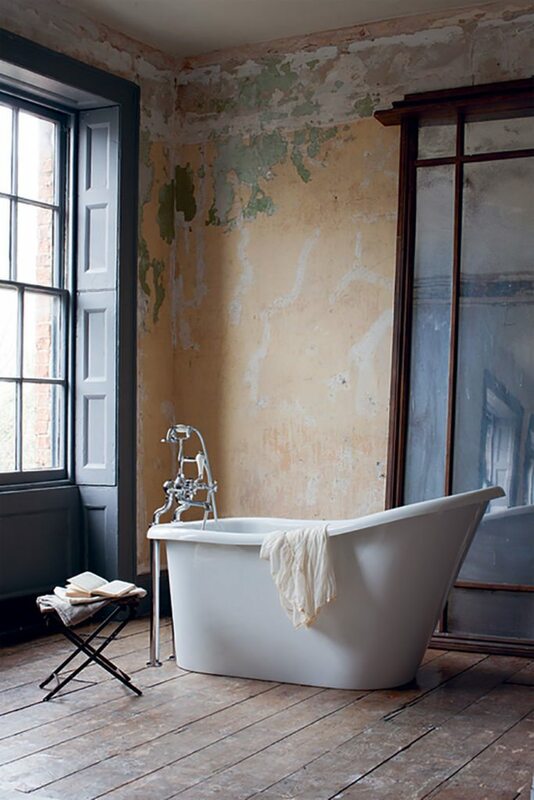 Freestanding baths come in a range of styles, including bateau, slipper and roll-top. You can also choose from single- and double-ended options. 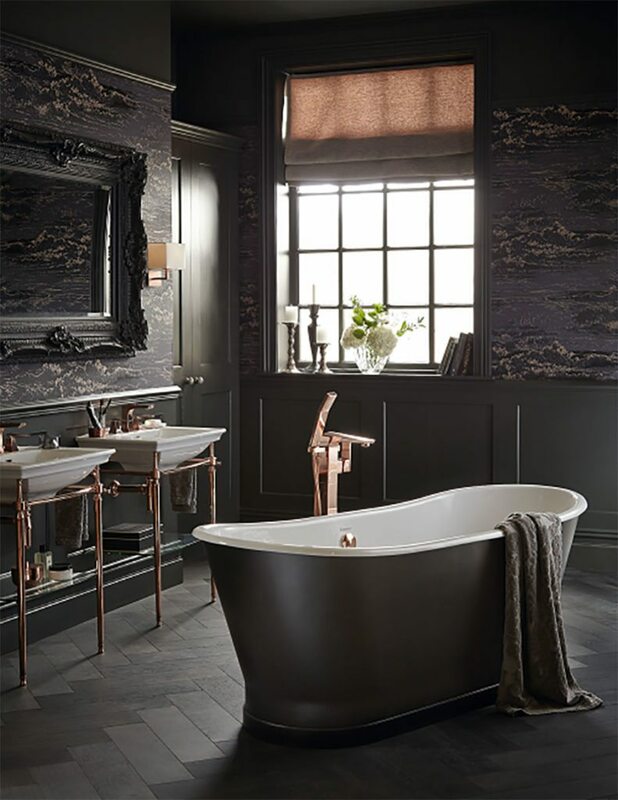 Made entirely from high-gauge copper sheets and plated in nickel, this bath by Catchpole & Rye is hand-beaten, polished and sealed. Expect to spend around £5,400. Vallone uses a solid surface material called Velvet Stone to make Pichola, priced around £3,021. For wow-factor tubs with prices to match, click here.